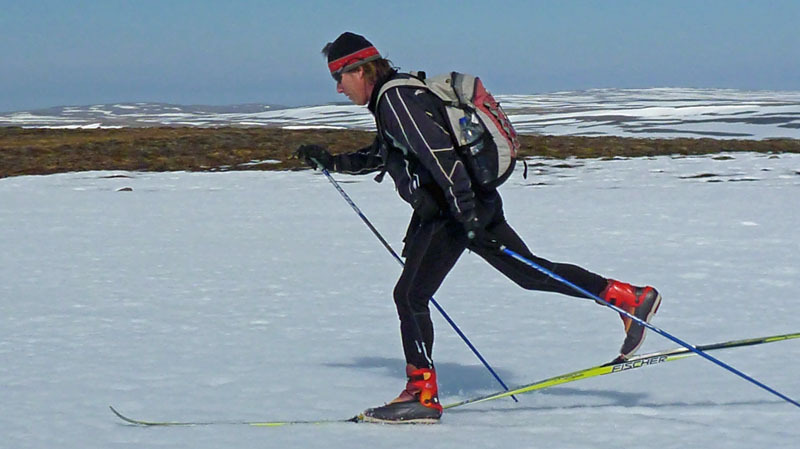 Crust skiing at the pass between Egilsstadir and Seydisfjordur. 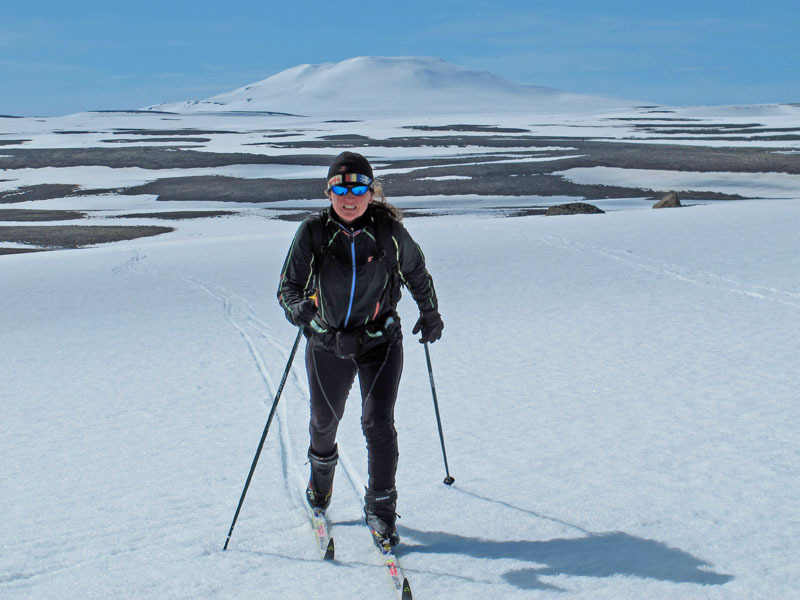 Summer snow skiing in the Fjallgardur area. 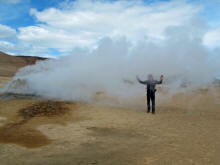 If you visit this web site now and then, you might have noticed that my wife and I went to Iceland last year. Well, we liked the place so much that we went back this year. 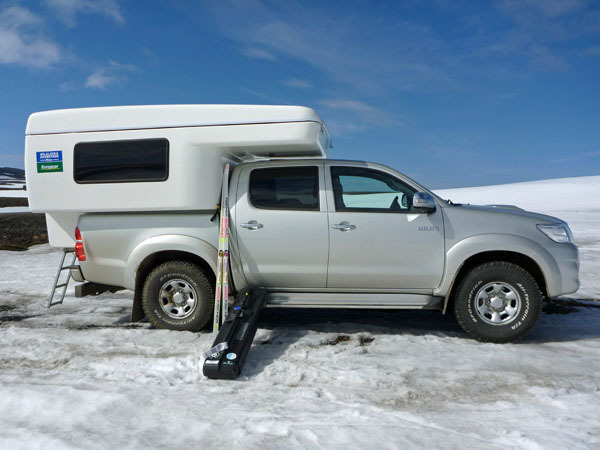 We did the same routine: take the direct flight from Anchorage to Keflavik (6 1/2 hours), rent a truck with a pop-up camper, drive around for two weeks with many stops for hiking, skiing, checking things out and even horse riding. 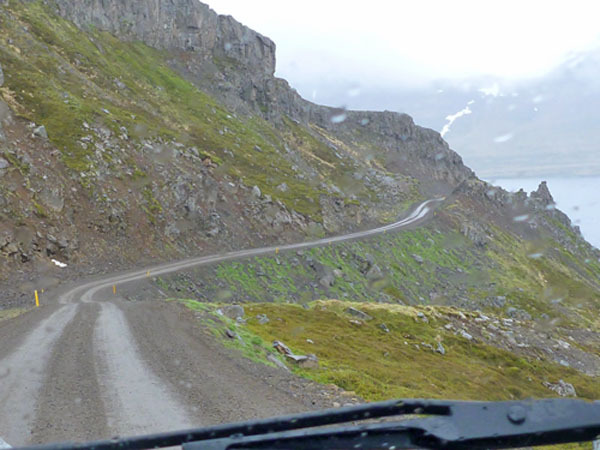 Last year we traveled around the Western Fjords and the Ring Road. 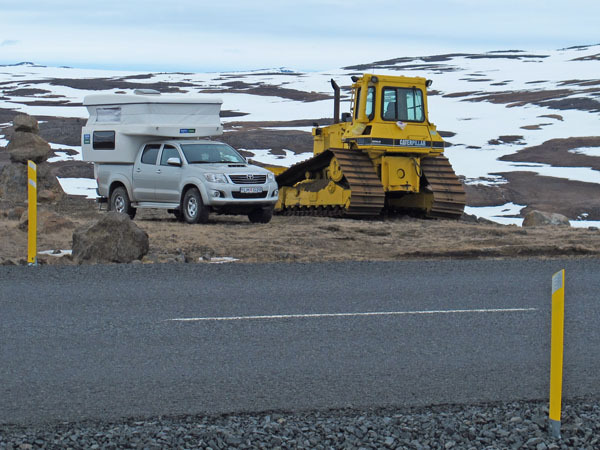 This year we did two weeks in Northern Iceland, checking out all of the northern peninsulas. Fun times. We sure like Iceland. And we will likely go back again. Fjallgardur area summer snow (and some crust) skiing. 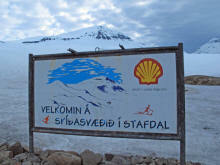 Seydisfjorder ... there is a small ski area, Bjolfur, with xc track here. Camping out with a dozer high in the hills. Hauksstadaheidi mountains crust skiing. 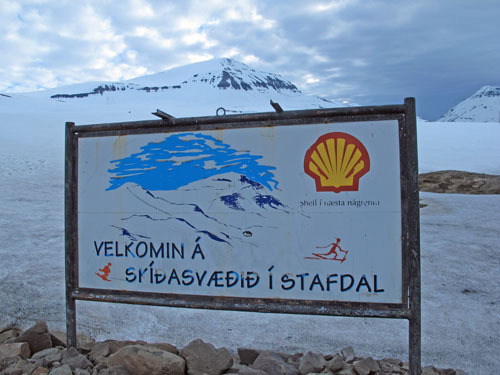 Egilsstadir. 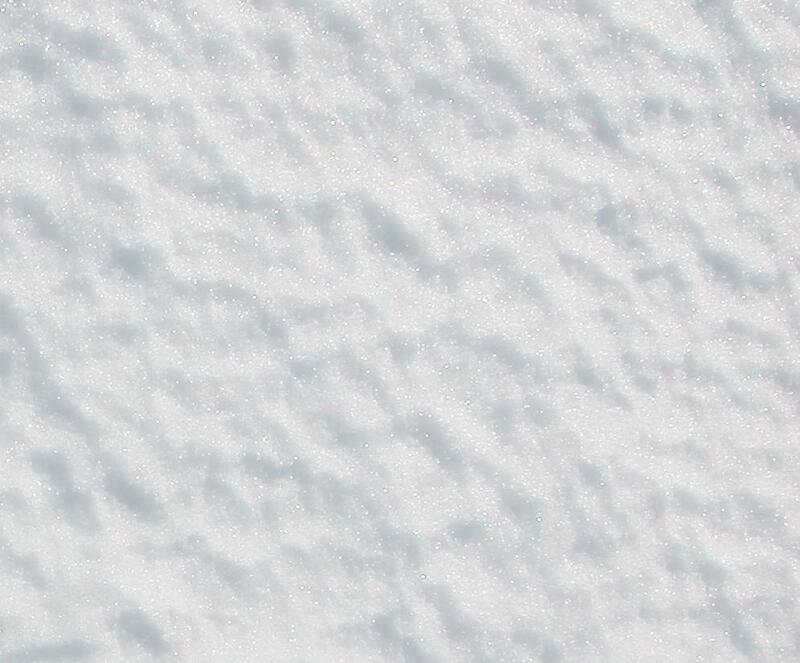 Pull off the road, break out the skis and head out. One of my favorite places in Iceland is the northern city of Aukureyri, and the surrounding areas - like Grenivik. Aukureyri has a cross country ski area. It is above the city in a wide bowl in the mountains (center of the above picture). 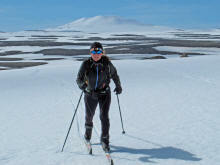 A nice day on the slopes of Kaldbakur above Grenivik. Looking down at Grenivik. 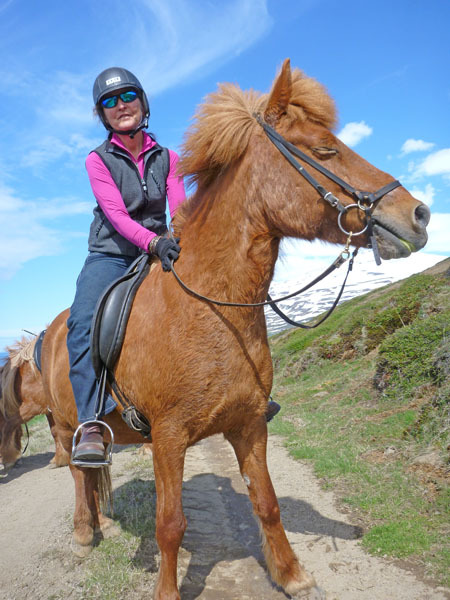 After skiing, my wife and I would ride Icelandic horses around the hill. 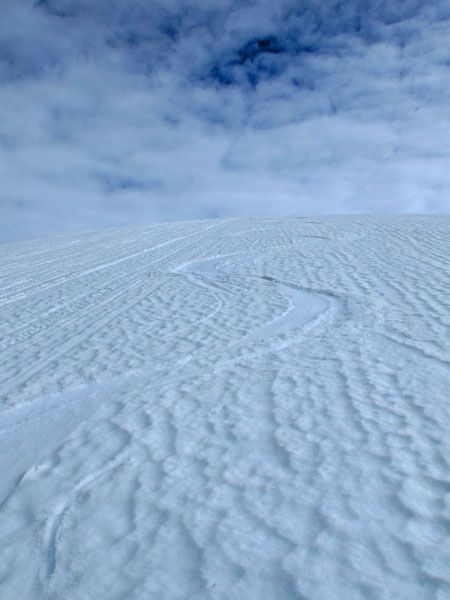 Good corn snow for fun descents. Its a long grunt to get the the top of the ridge though. After skiing, spending time with Icelandic friends (four-legged friends that is). After skiing, free steam cleaning of clothes and face. 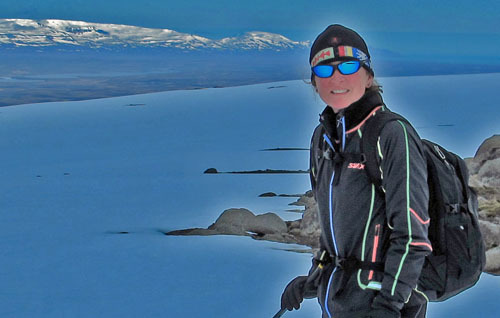 Skiing, hiking and climbing adventures can easily be found in Iceland. 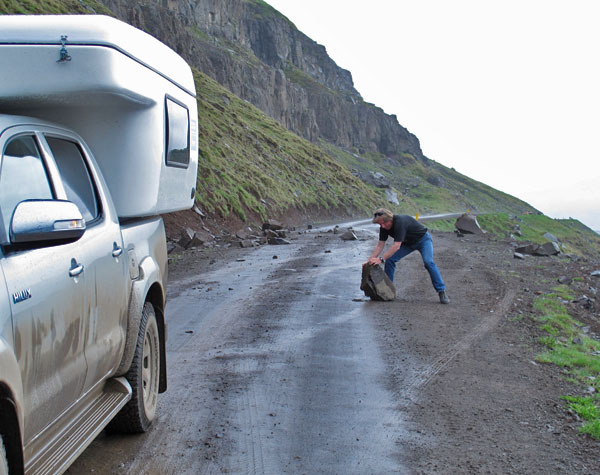 Adventure can also readily be found when driving the back roads of Iceland. 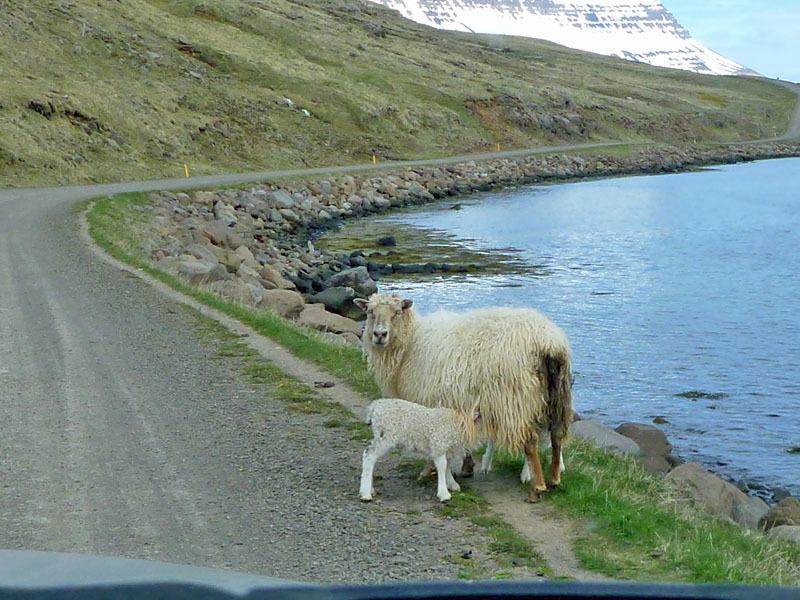 As can be seen in the pictures below, some of the driving adventure you can encounter are: steep and slippery single lane mountain roads with no shoulders, no guard rails and lots of exposure; clearing rockfall out of the road; driving away a herd of horses that are blocking the road; making sure you don't hit one of the millions of loose sheep on the island and stream crossings. 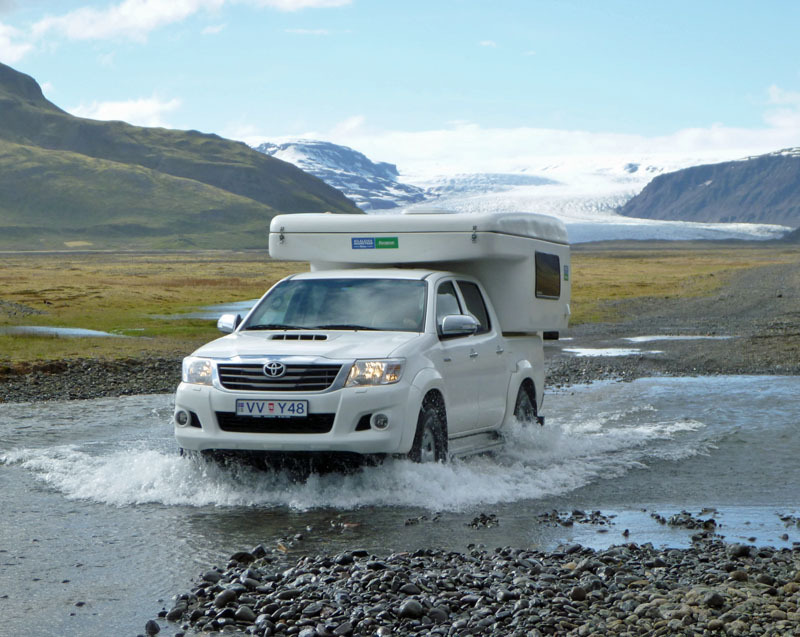 An Iceland driving safety suggestion: Drive clockwise around the island and the peninsulas. This way you will be on the mountain side of the road, and not the "one screw-up and you plummet to certain death" side of the road. Update: Later I would find out that stopping to clear rocks from the road near Arneshreppur (see picture below) might not have been a smart idea: click here.